This 6 CD set was recorded *LIVE* during phone classes held for Cynthia’s official distance-learning program, “The Telechat Club”. Each class includes a unique meditation, group sharing, teachings on the topic, and a LIVE channeling with the Atlantean Teachers…. 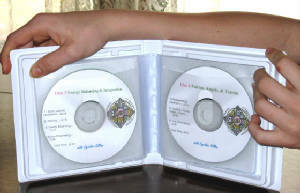 CD 1 Manifesting Abundance...Balance your masculine & feminine selves with the "Pure Integration Meditation". Then discover how balance, joy and alignment with your Inner Self are the keys to true prosperity. Learn how you are on a "co-creative" team with your angels, Guides, and Source itself, and how manifesting with the Law of Attraction *really* works in the physical time/space continuum. A very relevant telechat for our times! CD 2 Channeling Your Guide...Directly experience your higher level guide with a 30 minute long meditation. Then learn more about the nature of your higher level guides, how you can never be separated from your guides, and how YOU, yourself, are a higher level guide to others on this plane. Channeling is Cynthia's area of speciality. The Higher Level guides are always here & ready to help. This "Channeling Your Guide" telechat will help you to see the spirit help that is always available to you. CD 3 Energy Balancing & Integration...Journey to the Center of the Earth, and bathe in the mystical waters of your own inner Magical Temple. Learn the difference between energy balancing & energy integration, and discover a "hands on" exercise to channel healing energy into your body. 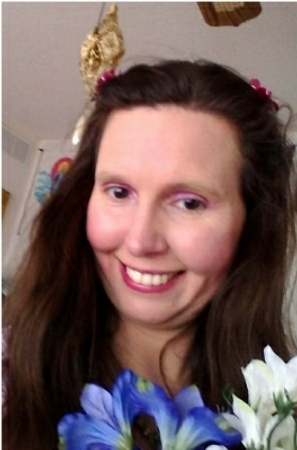 Join Cynthia with the Atlantean Teachers and learn how energy healing work helps to keep your conscious connection to the Divine open & flowing. CD 4 Working with Fairies, Angels, & Totems....Open your spiritual energies and release yourself inot the "shapeshifting" meditation that begins class. Then, learn more about the true nature of faireis, angels, and totems, and what their roles are in shaping human destiny. Also, the Atlantean Teacher guides share with you about your own inner angelic/fairy/totemic nature. CD 5 Divination Tools...Enter the "Meadow of Replenishment" and bathe in the waters of wisdom as you gaze into the eyes of your fully awakened self. Discover how using a divination tool can put you in deeper contact with your soul, and how to use divination to create a more desired future for yourself. The class ends with suggestions from the Atlantean Teachers for working with a divination, including the idea of using your own body as a divination tool. Divination tools put you in deeper contact with your soul and help you to move more harmoniously with the Universal Flow. Cynthia explains more about it in this "Divination Tools" audio recording. CD 6 Awakening Your Psychic Senses...Begin by using your powers of visualization to create your field of equalization & protection. Then explore the true "key" to awakening your psyhic senses. HINT: The real question isn't whether you have psychic senses, but to what extent you open to & acknowledge these higher perceptions. Call ends with a beautiful channeling from the Atlantean Teachers about the uniqueness of life on earth, the importance of raising your vibrations, and why it is worthwhile to awaken your innate spiritual psychic abilities. 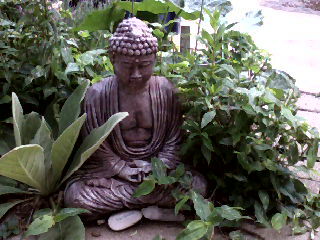 The Psychic Senses are "the gateway to experiencing God". Learn more about it in this Telechat recording. total cost international: varies according to shipping charges...please e-mail info@cynthiakillion.com with your order & complete address (including country) and Cynthia will send you an invoice once the exact shipping costs are calculated. Or, if you prefer, you can get the "Downloadable Package" instead. Scroll down for more info. 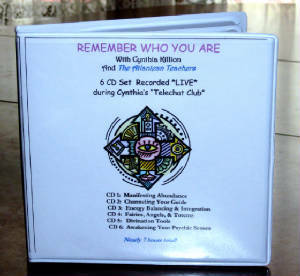 US RESIDENTS ORDER HERE...Click on the "buy now" button to the left to order your 6 CD "Remember Who You Are" audio set with Cynthia & the Atlantean Teachers. Complete cost is $97 non-refundable & non-transferable. This includes shipping & handling & any applicable sales tax. Please note: All monies paid for CD sets are non-refundable & non-transferrable. However, Cynthia does everything she can to ensure your satisfaction and does guarantee the quality of this product. If any part of your order is defective, or if you ever have any questions about your order, all you need to do is e-mail Cynthia at cynthia@cynthiakillion.com, or call (316) 652-8970 and she will take care of it ASAP. Once Cynthia receives your payment for your "Remember Who You Are" Audio Set, your kit should ship out to you within 1-2 business days, and probably be at your doorstep within a week or less. You will receive an e-mail when your order is shipped. If for any reason there will be a delay on your order, you will also receive an e-mail about that too. To return to the top of this page & read the descriptions of each "class" included in the "Remember Who You Are" set, please click HERE.